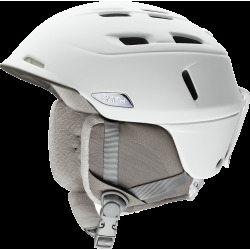 Pushing the boundaries of helmet technology and style, the Hybrid SL Shell Smith Vantage Men Matte White gets the edge on the competition through its low profile design. Ventilation zones maximize climate control and seamlessly integrate with goggles to eliminate fogging. The Vantage is the perfect blend of performance and style. Adjustable size. The Smith Vantage Men Matte White was built for the hard-core-demanding the ultimate in everything. 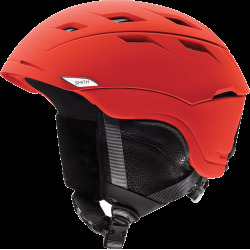 Pushing the boundaries of helmet technology and style, the Hybrid SL Shell Smith Vantage gets the edge on the competition through its low profile design. 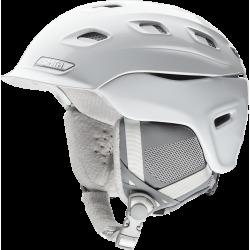 Ventilation zones maximize climate control and seamlessly integrate with goggles to eliminate fogging. The Smith Vantage is the perfect blend of performance and style. 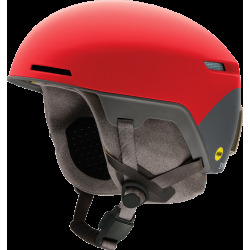 Construction featuring Koroyd simultaneously maximizes full coverage protection and increased airflow. For the most custom fit, the Vantage offers the all new BOA® FS360 fit system, with a 360º halo design. Combine all this with the Smith pioneered AirEvac technology for goggle integration, and the Vantage delivers the perfect blend of technology and style. 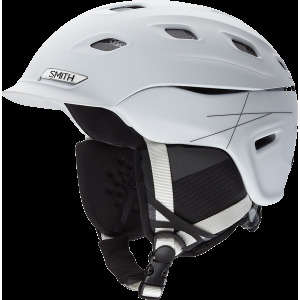 Smith Vantage Men Matte White ski helmets are guaranteed 12 months against any breakage within the framework of a normal use, two years against manufacturing defects noticed by the manufacturer, as from the date of purchase ( the date of the invoice). The guarantee does not cover the defects due to a misuse or to a lack of care (shocks, loss, accident).